Potassium fluoride is a white crystalline powder which is used in manufacturing fluorinated aromatic compounds, organic compounds, pesticides and insecticides. It is also used in soldering flux, etching Glass and other industrial applications. Our firm has gained immense recognition in offering premium quality Potassium Fluoride. This is processed using high-grade chemicals under the supervision of skilled professionals to ensure an enhanced reactive life. 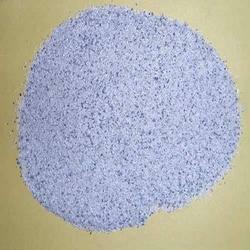 Granules Potassium Fluorotitanate, 25 Kg. To furnish the diverse requirements of our clients in the best possible manner we are involved in offering an extensive range of Potassium Fluoride. We are engaged in manufacturing and supplying the finest quality of Potassium Fluoride. The offered compound is widely used in various chemical industry applications as a primary source of the fluoride ion. Quality of the offered potassium fluoride is our utmost priority and it is maintained at all times at our end.